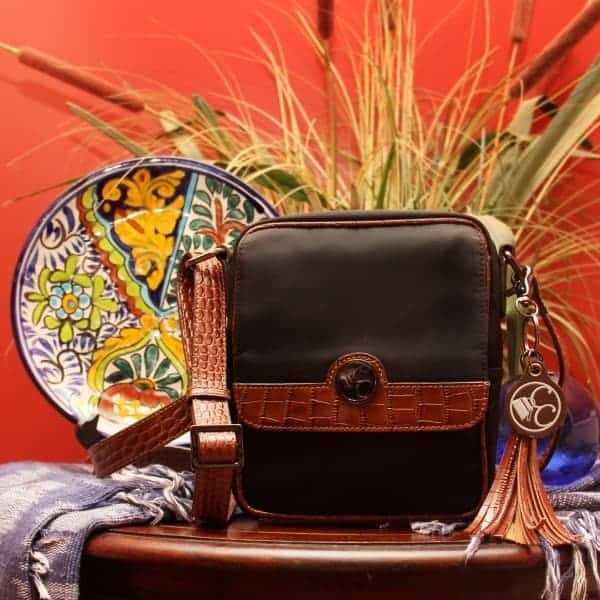 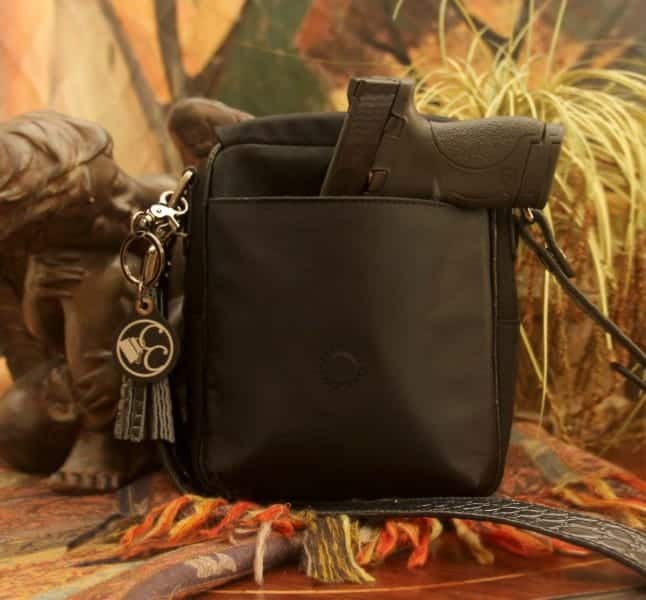 Our vertical solution and lighter weight Microfiber Black Crocodile Crossbody Compact maximizes function and space. 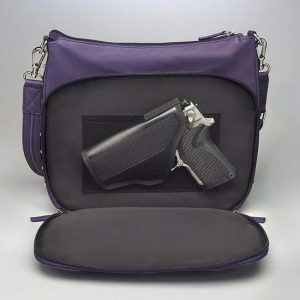 Your vertical solution to arm and protect. 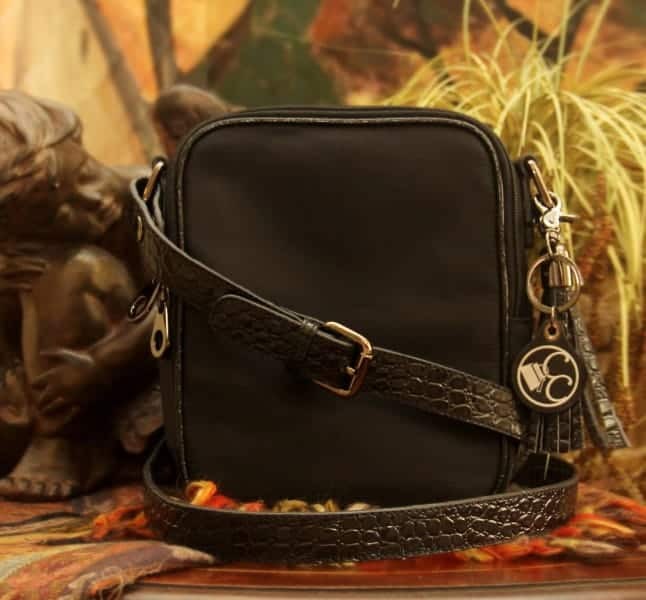 Our vertical solution and lighter weight Microfiber Black Crocodile Crossbody Compact maximizes function and space. 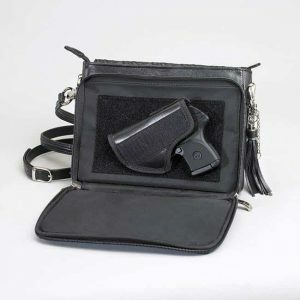 The unique compact design includes a discreetly hidden, ambidextrous, exterior firearm compartment for quick, easy access. 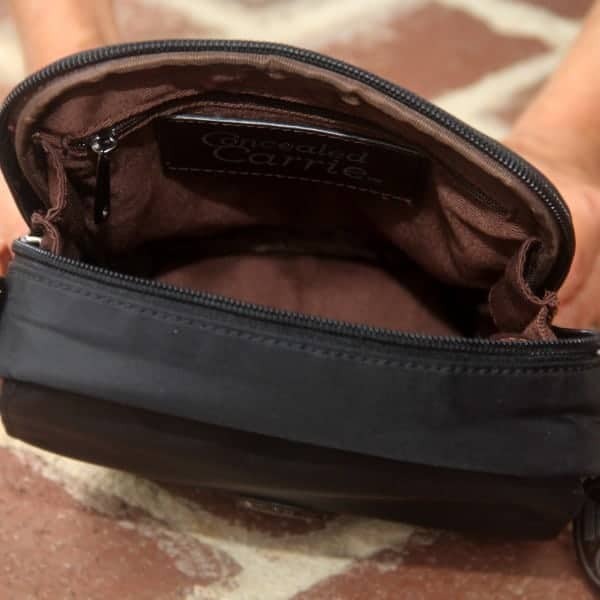 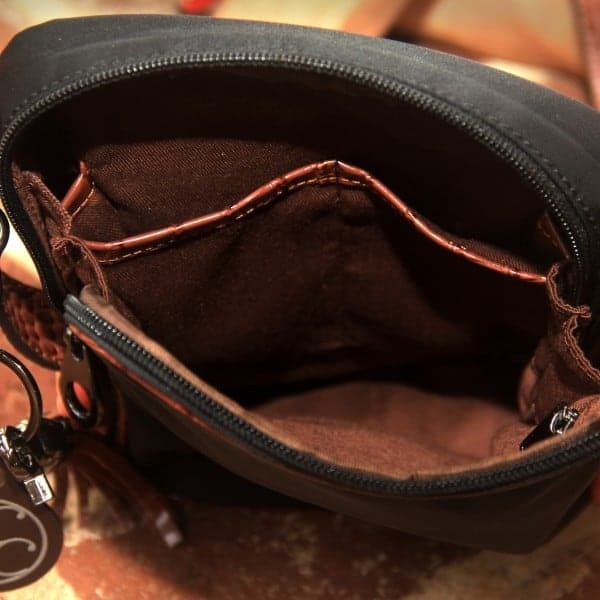 The main compartment offers storage pockets with additional room for personal items. 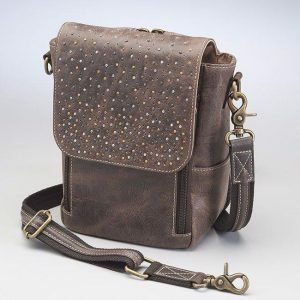 The removable shoulder strap, easily adjusts up to 52” for crossbody comfort. 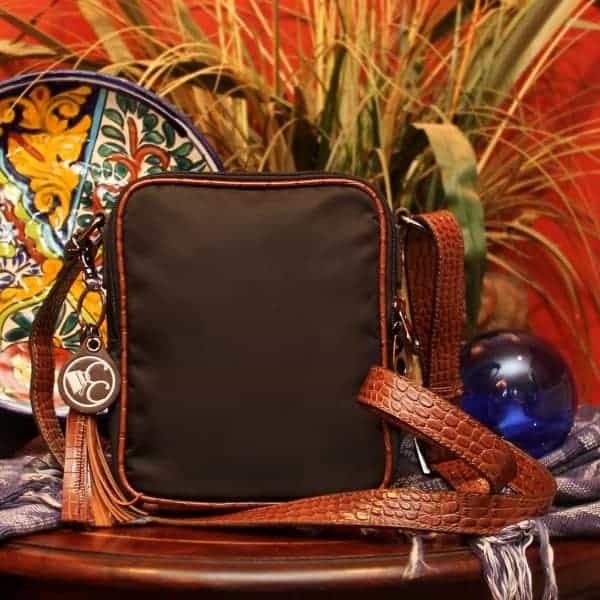 Also, available in black microfiber with brown crocodile print leather trim, this handbag has it all. 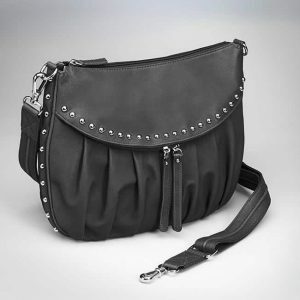 All Concealed Carrie handbags come with a Concealed Carrie key chain and tassel. 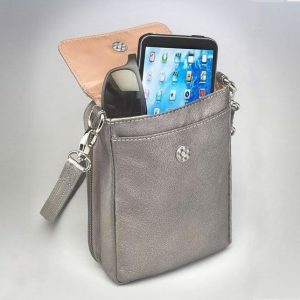 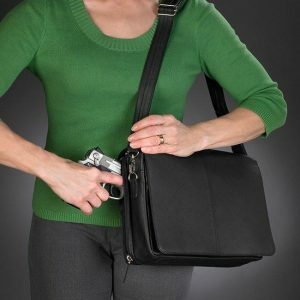 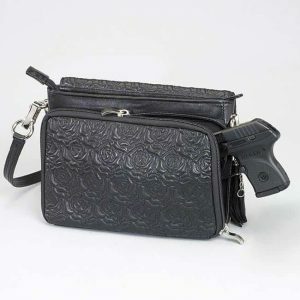 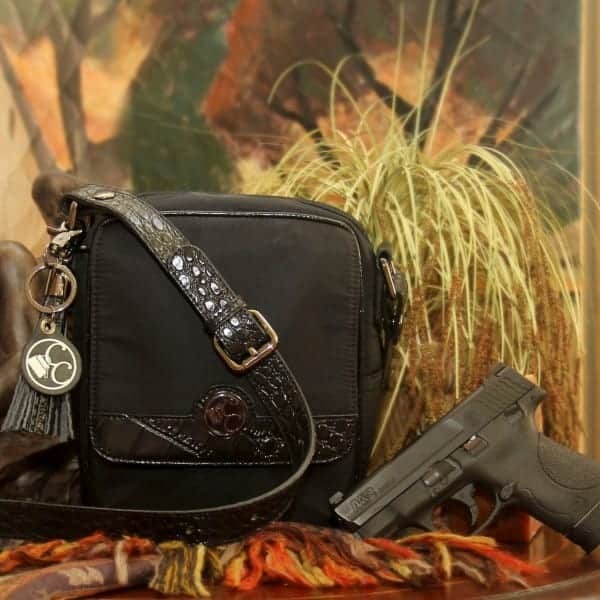 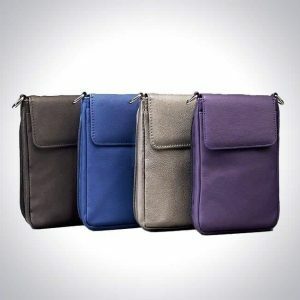 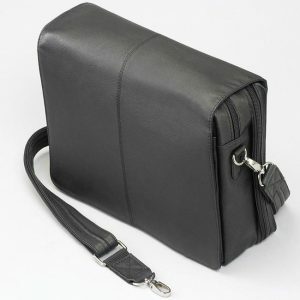 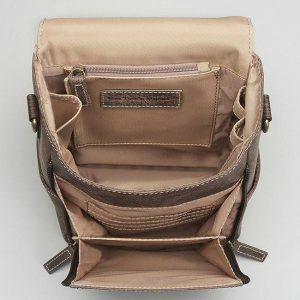 This handbag best accommodates any compact or sub-compact handgun and can also securely hold tasers, stun guns, pepper sprays and like forms of non-lethal self-defense products.